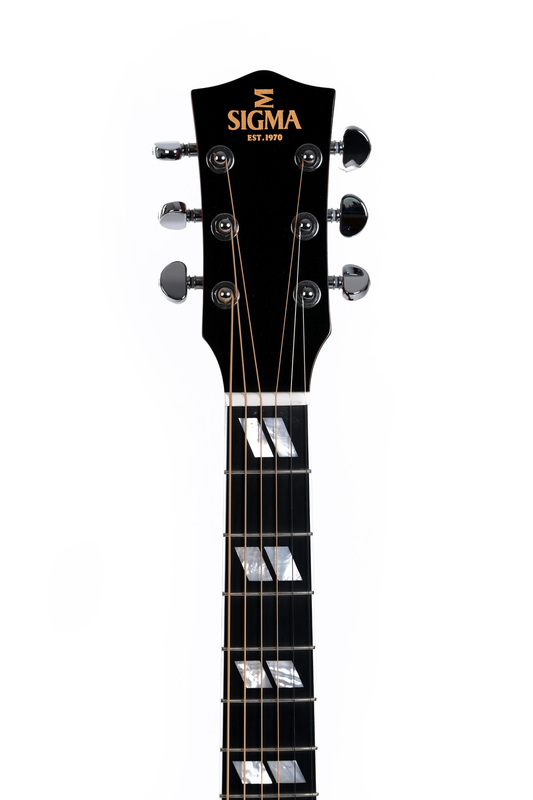 THE SIGMA DM-SG5 DREADNOUGHT FEATURES A SOLID TOP AND FISHMAN SONITONE ELECTRONICS. 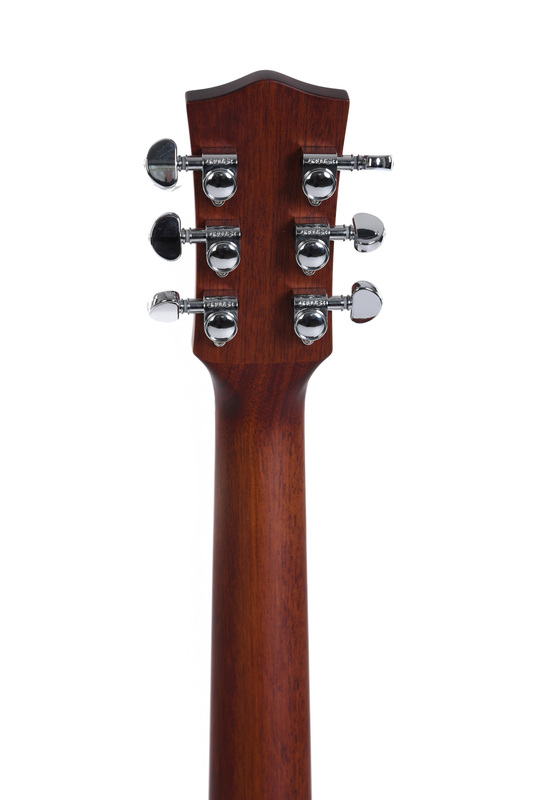 Finished in Heritage Cherry Sunburt, the Sigma DM-SG5 delivers classic looks. 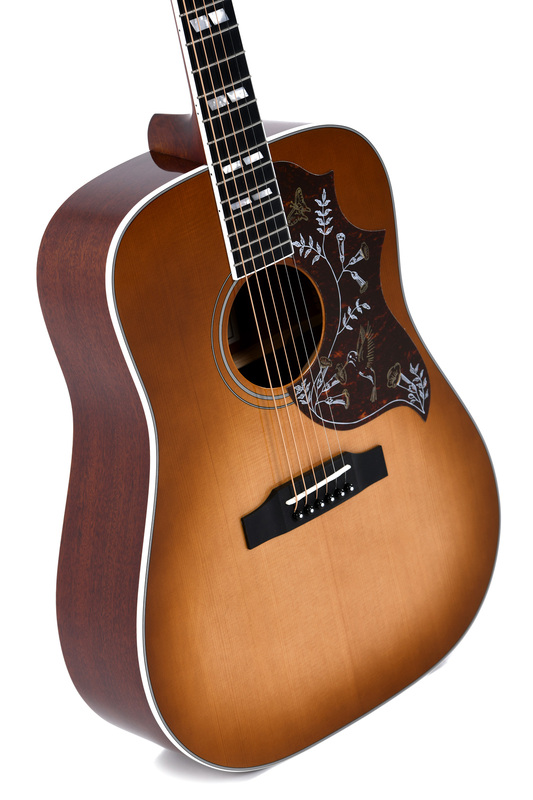 Reminiscent of the Gibson Hummingbird. It is actually a modern recreation of an acoustic guitar Sigma made in the 1970s. As with all Sigma guitars the quality of build and finish is second to none at the price point. 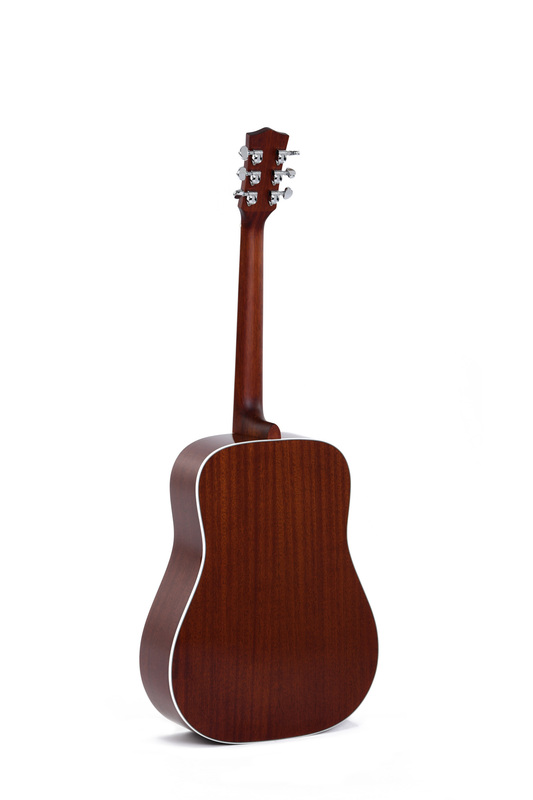 The DM-SG5 features a solid Sitka Spruce top with Mahogany back and sides. A real bone nut and saddle helps transfer the tone of the factory fitted long life D’Addario EXP strings giving the DMSG5 a superb acoustic tone. Deep, bright and articulate. Fitted discretely inside is a Fishman Sonitone system for superb plugged in performance. 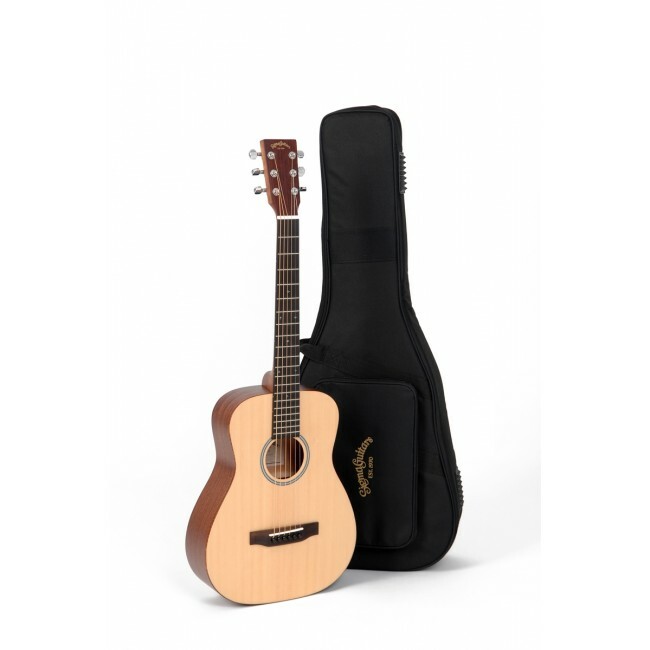 A volume and tone control is accessible inside the top of the soundhole.